Browse Essex on the Park condos for sale. Can't find a condo or loft that fits your needs? Try our advanced Saint Paul condo search. 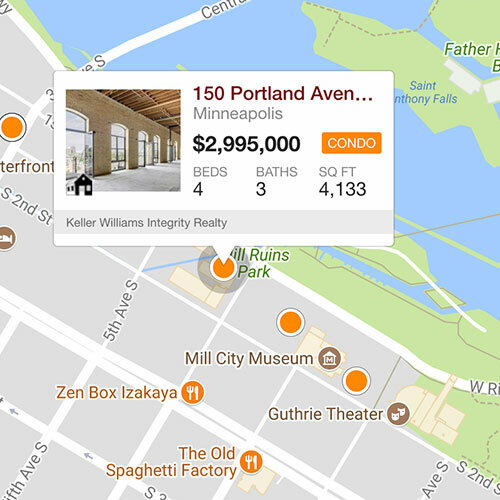 You can easily filter units by location, price, amenities, and more to find exactly what you're looking for. 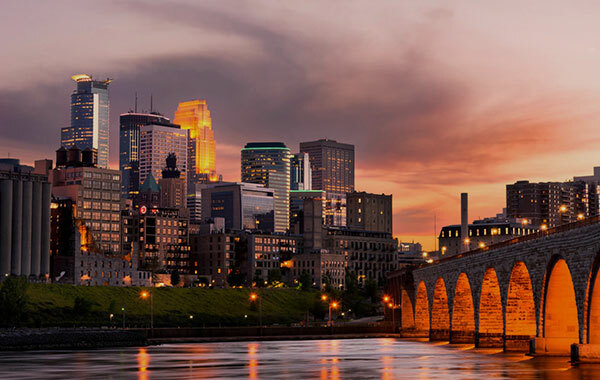 While Minneapolis may be more known for its young and hip residents, St. Paul is a thriving community of its own, especially the downtown area. There you’ll find Essex on the Park, and one of these flats or townhomes could be your next home. Downtown St. Paul has been under-the-radar for several years. Young professionals and families have rediscovered the area and are moving in droves. Living in downtown St. Paul has many advantages. Essex on the Park, as well as much of Downtown St. Paul, strikes the perfect balance for people who love the convenience of condo living but want to be in a quieter, more relaxed area. 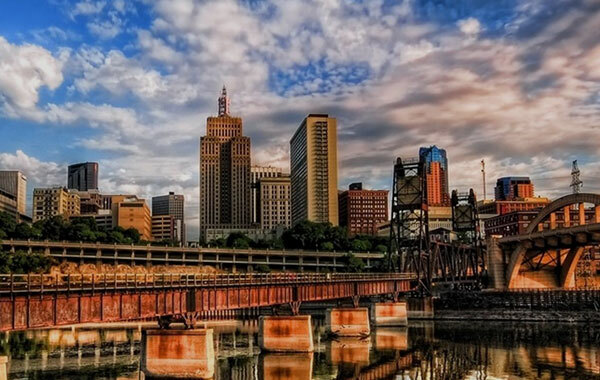 St. Paul is steeped in rich history and offers a variety of restaurants, shopping, and entertainment. Of course, it is near the Mississippi River for even more activity. Initially built in 2001, Essex on the Park has 38 units across four stories. Both townhouses and flat condos are available. The location is ideal for anyone who loves to be active. The neighborhood has a walkability score of 92, meaning you can get to many things quickly and easily. There is air conditioning in the units, so the heat and humidity of the summers will not be a problem. If you need wheelchair accessible accommodations, some units are available. You can choose between a studio or a one-bedroom, two-bedroom, or three-bedroom home. Whatever you want, there is plenty of space. Essex on the Park provides the residents with extra storage, elevated ceilings, and a heated underground parking garage. The interior of the units is full of great features. The stylish kitchens have gas appliances. Even better, there are fireplaces to warm yourself during the cold, winter months. You will also find washer and dryer hookups for your convenience. Units also feature expansive windows to let in as much natural light as possible. You will love the hardwood floors, modern kitchens, and ten-foot ceilings. If you have pets or plan to get one, they will be right at home at Essex on the Park. The complex and the neighborhood are friendly to pet owners. Living in Downtown St. Paul offers you the best of both worlds. You will get the convenience of downtown living, but a more friendly, community feel. Essex on the Park is located at 222 8th Street E on the corner of Wacouta Street and is at the heart of it all. As a bonus, you are near the St. Paul International Airport for a quick, weekend getaway whenever you want. Imagine waking up on a Saturday morning and walking to meet friends at The Buttered Tin. This local establishment offers breakfast twists that keep customers coming back time and time again. Check out The Barrio for authentic Mexican dishes. If you feel like an exciting evening on the town, The Bulldog Lowertown is open late. Residents of the area know the Bulldog as THE place to hang out for a late night drink or snack. This area of Downtown St. Paul is incredibly walkable. You can get walk just about anywhere in a matter of minutes. Many residents in the area take time each week to peruse the St. Paul Farmers Market. Enjoy fresh, in-season produce picked at the perfect ripeness. If you enjoy an afternoon at a park, you will find many near your home at Essex on the Park. Mears Park, Rice Park, and Harriet Island Regional Park offer beautiful trails, scenery, and outdoor entertainment. Take your best pup to the Lowertown Dog Park and let him stretch his legs and get some exercise. There are many families in the area and, as a result, the schools are high-quality. Whether or not you have kids of your own, having good schools in the area is good for the whole neighborhood. John A. Johnson Achievement Plus Elementary School is for children in pre-kindergarten through fifth grade. Students in grades five through eight can also attend Farnsworth Aerospace Upper. Open World Learning Secondary School is a public school for students in sixth through twelfth grade. There are also local private school options for families. St. John Lutheran School is a small school for students in kindergarten through eighth grade. Christ’s Household of Faith is for pre-kindergarten all the way up through twelfth grade. Ambassador Preparatory is available for middle schoolers and St. Paul Preparatory for high schoolers. If you feel like furthering your education, there are a number of colleges and universities within a few miles. Concordia University-St. Paul, Macalester College, St. Catherine University, The University of Minnesota, Saint Paul Campus, and The University of St. Thomas St. Paul Campus are the closest to Essex on the Park. Nearby still are Northwestern College, University of Minnesota - Minneapolis Campus, Augsburg College, North Central University, and Minneapolis Community and Technical College. You’ll find well-educated neighbors in Downtown St. Paul. If you want to call Downtown St.Paul home, call Roost today. We will do our best to find you a home at Essex on the Park or one of the other incredible properties in the area or throughout the Twin Cities.